It’s commencement season! Share your feelings about graduation using #SJSU2012grad. Photo taken by @HonestnLoyal247. We’ve put together the tweets of the week for Spartans to see the exciting, funny, interesting, and spontaneous conversations on Twitter about SJSU. 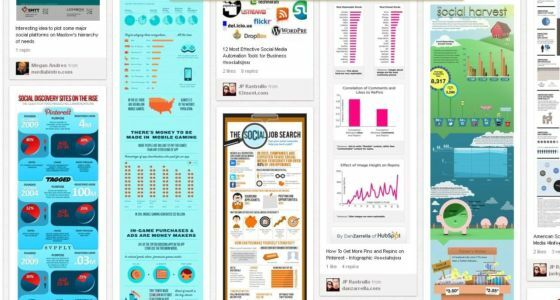 Take a look at what’s happening on campus by exploring the tweets below! @marcusstmarcus1: Make sure to come out to the event this Friday at the #SJSU library at 4p.m. Bring the #kids and get your copy of my #children‘s books. 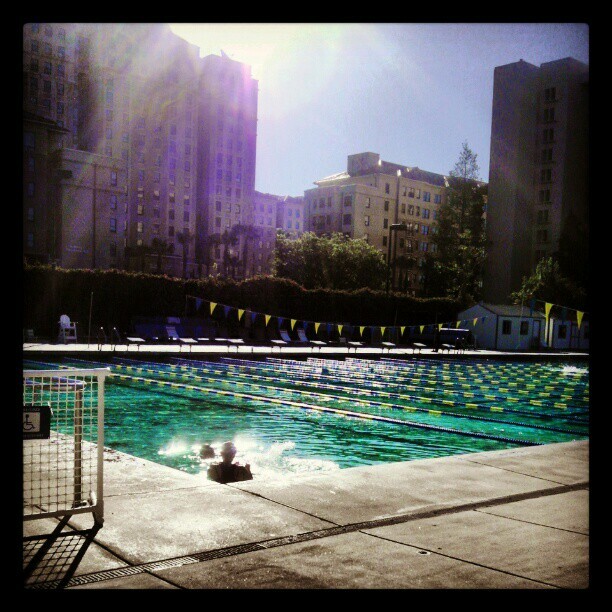 @ScoobyCHOOOOON: Everyone going swimming at the #SJSU Aquatic Center today! Lets go swimming someone! @heymyrene: 2nd to last semester ever! @SJSU Today is the last day of instruction at #SJSU. Good luck on your finals Spartans! @marjotm: Happy Dead Day! Good luck on finals, @SJSU! 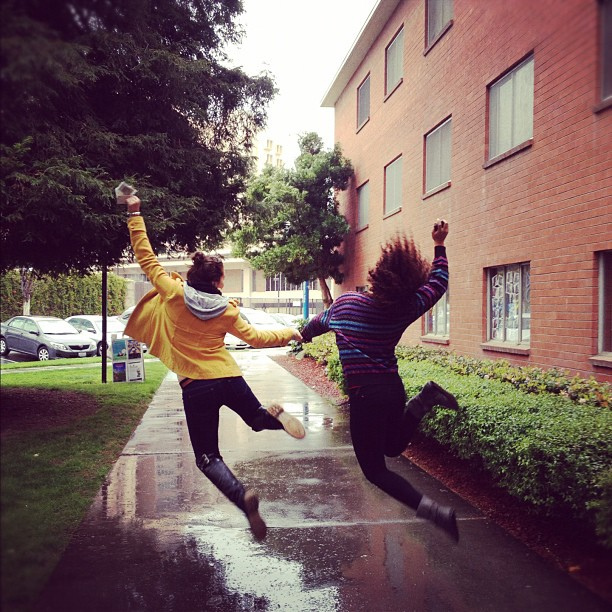 @DavidHef: It’s been an amazing semester @SJSU and I can’t wait to finish finals! @ExoticMistry: Everyone’s excited for summer to come . . . but i dont wanna leave my #SJSU fam though. @TreaErdmann: Great life experience at #SJSU #public relations #advertising #agency @dbandh http://www.dbh.sjsu.edu/ I’ll miss all of you talented ppl! @heathermarlene: such a beautiful last day of freshman year classes #SJSU its been a crazy year and i cannot wait for more! @pris_cilla11: @SJSU Beautiful campus 😀 I love it! ‏@suzanneyada: The namesake for the @SJSU journalism school and @spartandaily founder Dwight Bentel dies at 103: http://shar.es/2VpyY. Rest in peace. @WrightScribe: This is my first chance to mention Dwight Bentel’s passing. He founded the @SJSU journalism program. May he rest in peace. ‏@ryanwhitchurch: Just finished my final class at #SJSU can’t believe #SJSU2012grad is coming so quickly. Then off to NYC Reality is yet to settle in. You can follow SJSU on Twitter for more updates at https://twitter.com/SJSU or search for @SJSU. Note: The opinions and and views in these posts are those of the independent Twitter users and not of San Jose State University. 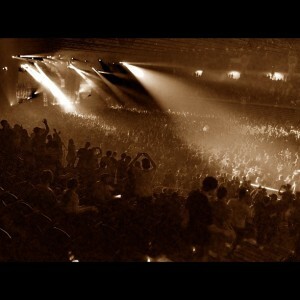 Students and community members packed into the SJSU Event Center on Cinco De Mayo to listen to some live beats performed by Bassnectar. Photo taken by @rickyflipsk8. @RachelMoussa: @BRCDcomm is proud Platinum sponsors of the @SJSU Engineering Awards Banquet! Excited to attend the event tonight. Go Spartans! ‏@mikeygermita: Bassnectar @SJSU was sick. @rhmza: Mother nature celebrates the end of the semester @SJSU with perfect weather! @donlyn1: @DamonBruce @sjsu Frenso State has & will always be SJSU arch rival, since the Big West days! Take off that red shirt and GO SPARTANS! @SJSUCASA: Ceed awards given to Nicole Adel and Aldo Chazaro– both of Health Sciences @SJSU Congrats! @SpearsNBAYahoo: Congrats to my alma mater @SJSU for officially being named a member of the Mountain West Conference in 2013. Go @SJSUAthletics! @TJRice: Excited for #SJSU Spartans headed to the NFL – ran into NY Jets bound @Tha_Fred_Ko yesterday at Spartan Stadium. Good luck Fred! Represent! @xoxoMarynel: @wilsonkong always good to hear from an @SJSU alumni. We appreciate those who support and share their experience! 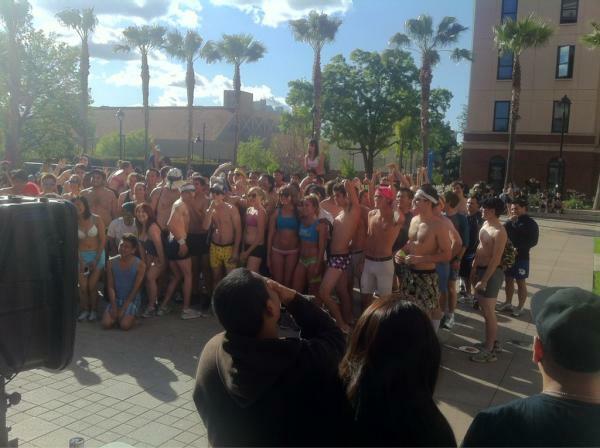 Spartans gather around at the Undie Run, an annual event that aims at bringing awareness to sexual assault. Photo by @Ricky1899. @BeWell_SJSU: #SJSU @SJSU Eat FRESH, Eat LOCAL! Visit the NEAT table 5/4, 10-2, for a FREE tote bag w/a chance at $25 gold points! ‏ @adorndesign: Applied Anthro MA presentations @sjsu clark 412, mon, 5/7, 1-4pm. Topics include quantified self, design collab, empowerment in special ed. @JamieJay2: Awesome running through @sjsu— just being on a campus around college students brings back so many good memories. @JGoTheFan: #MWC to add #UtahSt and #SJSU … how exciting is that! 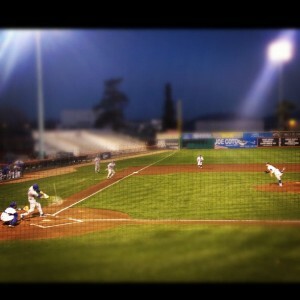 @P_Fournier: How about the #SJSU baseball team, beating No. 7 ranked #Stanford today 8-5! GO #SPARTANS! @TJRice: Congrats to #SJSU SS Duke Ihenacho @NachoLyfe for signing w/ Denver Broncos – http://bit.ly/Ij6gtB – 7th & Alma will be rooting for you! @MascotMikeSJ: Great to see a bunch of #SJSU football players getting shots in the NFL. Gonna be my favorite athletes, no matter what teams they play for! @xoxo_Allanah: “@SJSU: #SJSU2012grad is approaching! How are you feeling about it?” anxious and overwhelmed! @ginanesposito: “@SJSU: #SJSU2012grad is approaching! How are you feeling about it?” EXCITED! woo hoo JMC grad! With summer quickly approaching, the #SJSU Aquatic Center is a great place to hang out and have some fun! Photo taken by @marjotm. @mrfphd: @SJSU @letsmove VOTE for our video! @combesba: My first boss @UofCincy is now president @SJSU. Congratulations Mohammad Qayoumi on being invested as the 28th president of SJSU! @ThyraPhan: Fun thing I did this weekend: Went on a scavenger hunt held by MISA at @SJSU. Won second place! @javeeperez: Just met with my advisor. He put me at ease. 🙂 I Love @SJSU! @Marco_Henry: Proud of my grand little bro Peter Lee on getting appointed to the@Assjsu Board of Directors. Only a freshman & already helping lead#SJSU! @stevewes: Just finished transfer orientation to #sjsu, got to shake Bob Rucker’s hand. I’m pretty stoked for the opportunity ahead. @rhmza: Congratulations indeed Mo, new #SJSU president! Its been a beautiful week at SJSU! Thanks @billngugyn for sharing this photo. @SV_FACES: @SJSU Thank u for partnering w/us on Mobilize for Rights. Hoping u will help spread the word on twitter! @SJSpartanSquad: Who’s down for a game of wiffle ball? Come out early to the #SJSUbaseball game on Saturday and play. Free Shirts? Yup! @vaultroidborn: @SJSU Taking the WST this Saturday…wish me luck! @SJSUGateways: Secretary of Homeland Security Janet Napolitano spoke on campus at @sjsu today about cyber security. very interesting! @jplusr10: #ZombieApocalypse at @SJSU! Planning is in progress! Waaaatch out! @yazzyyv: Excited for college <3 one step closer to my future 🙂 @SJSU #gospartans! @lovegoodbyes: #AcademicSenate #AssociatedStudents #SJSU @ASsjsu @SJSU@SpartanDaily Student Athletes have a higher GPA than several years ago! @heyhemartin: @SJSU Beautiful day for a softball double header. Game two is on! Go Spartans! @NinerKing21: @SJSU nervous and excited! 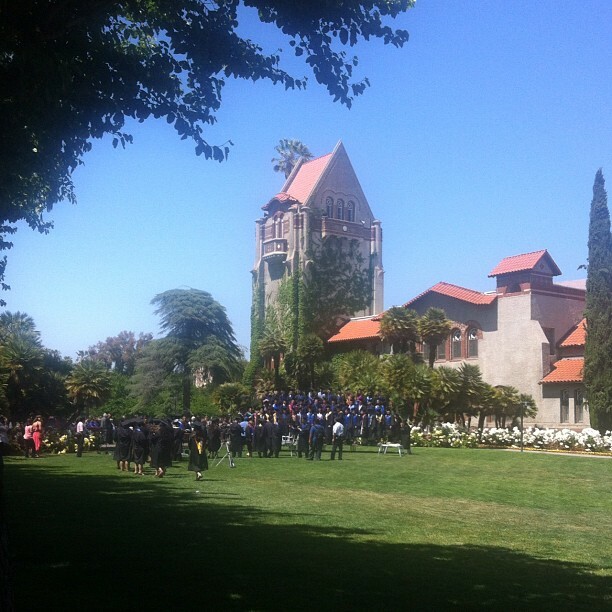 @silviakspiva: Congratulations #SJSU2012grad You’re almost there! Two students dancing in the rain outside the Bricks. Photo by @VanessaDingillo. @jenniferthefox: Admitted Spartan day on saturday @SJSU so excited. @SolarBrit: Excited to head out to @SJSU for Earth Day next week on the 18th! 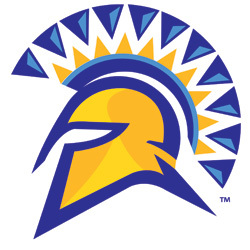 @galinaowens4: I have officially accepted @SJSU‘s offer of admission and have signed up for Frosh Day…Go Spartans! @AsherDasher11: “@SJSU: What are you going to miss most about #SJSU after graduation? #SJSU2012grad” my sorority sisters and my best friends! @chhaya_1: @SJSU Congratulations to all the graduating Spartans. I know how priceless is this feeling. Congrats & good luck for your future! @ryanwhitchurch: Just bought my Cap & Gown for my @SJSU graduation.#SJSU2012grad is coming too fast! @yannsays: Just bought my cap&gown. Omg it’s happening! #graduation#spring2012 #sjsu finished my undergrad in 4years! Courtesy: San Jose State Athletics San Jose State's first women's track team will compete in 2014. For the first time since 1997, San Jose State University is adding to its NCAA Division I intercollegiate athletics program. With a keen interest in enhancing its women’s cross country team, the Spartans plan to add outdoor track beginning with the 2013-14 season. Since sponsoring women’s cross country in 1994, team members were limited to local races as individual entries during the traditional outdoor track season months of March through June. With the addition of women’s outdoor track, the Spartans can compete as a team locally, regionally and in conference competition, for a conference championship, and qualify for the NCAA Championships. “We are in an advantageous position to enhance our women’s cross country team with the addition of women’s track as our newest NCAA Division I athletics program. This decision will give our existing cross country team members a better overall intercollegiate athletics experience and we will be able to attract a more diverse and talented pool of prospective female student-athletes from high schools and community colleges,” said Athletics Director Tom Bowen. Read more from Spartan Athletics. @felixwdo: My #design! #yourvoiceyourvote Remember @SJSU #spartans to vote in the upcoming @assjsu election! @robbsilverstein: @SJSU just bought new sjsu shirt! 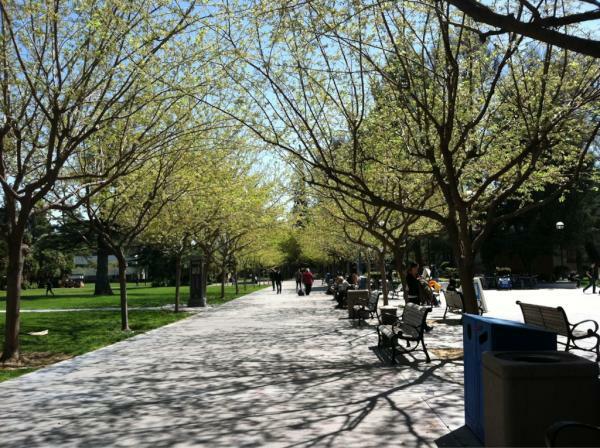 @AsherDasher11: “@SJSU: Looks like spring has arrived at #sjsu!http://pic.twitter.com/qpck2LNP” love our campus! @calstate: @csuf, @csulb, @sjsu & @csunorthridge had professors that ranked in Princeton Review’s Best 300 Professors! @SJSUAthletics: 66th Annual Western Intercollegiate Golf Tournament is just over a week away. 6 of the top 20 teams will be there. @brendiitaaa23: Woah. Just tripped. April is my last full month in school.#SJSU2012grad this is crazy!! @ryanwhitchurch: Can’t believe my #SJSU2012grad is coming so soon. Without a doubt my experiences at @SJSU have been the best and most fun times of my life! @brendiitaaa23: Health Science #seniors #sjsu #graduation #college #2012 buying our cap and gown!! $#! !+ just got real!! @RCAdvertising2: 1 month, 22 days until #graduation @SJSU !!!! @abcdianep: #sjsu #graduating can’t stop won’t stop! 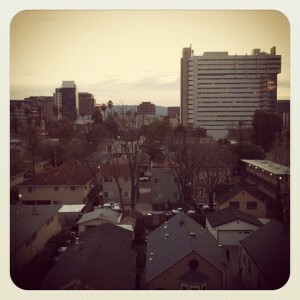 Photo of downtown taken by @NinerKing21 from the 10th street garage. Thanks for Sharing! @B2B_SJSU: @SJSU Career Center is hosting a Tech job fair 04/11. If you’re looking to recruit for tech related roles, email daniel.newell@sjsu.edu. @brendiitaaa23: Enjoying the massage chair in the student health center. You should try it!!! Visit HB208 It works wonders #relax #SJSU student if req’d. @felixwdo: working on @ASsjsu‘s @SJSU Student Leadership Gala poster and invitation #designs. Great seeing many deserving names on the list. 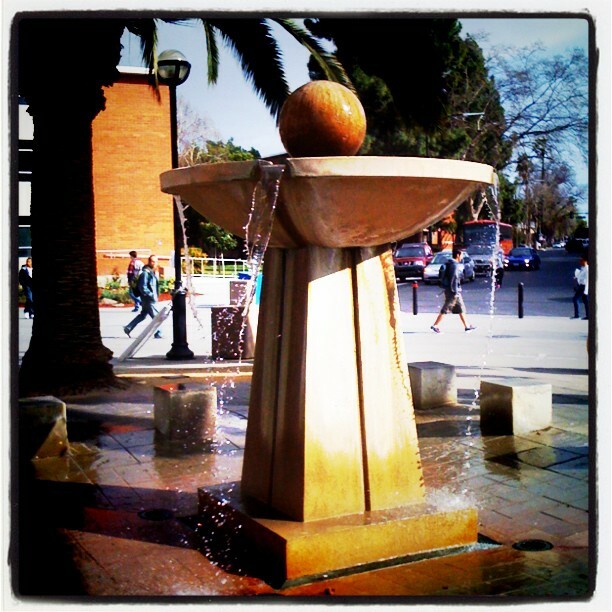 @Bookcharmer: @SJSU Art classes for the win!!! 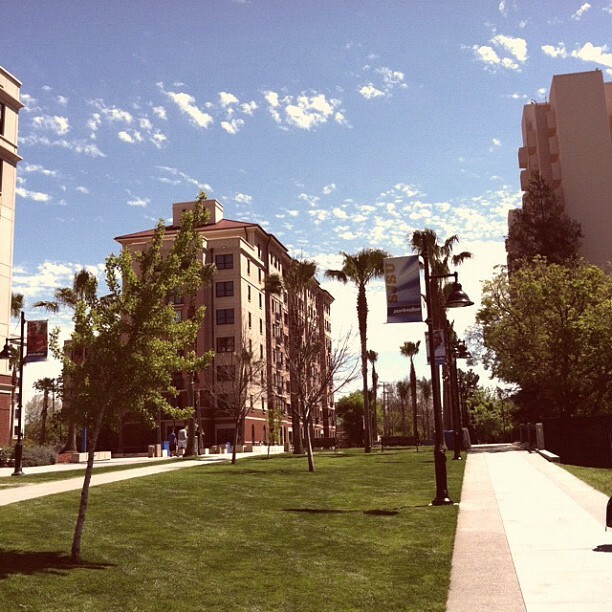 @PlatinumTim: It’s such a beautiful day in San Jose at @SJSU! @KGarrett32: @SJSU thanks for sharing my story I really appreciate it! @dancingsousa: #sjsu RT @RobRang A spectacular workout by safety Duke Ihencho: 4.51, 4.52 in the 40; 39.5″ vertical; 10’3″ broad. All Combine improvements. Great photo of the seventh street fountain on a beautiful day! Photo taken by @KappaMike7. @SJSpartanSquad: #SJSU Gymnastics meet tomorrow night: 7pm @ Spartan Gym. Prepare to be impressed! Oh, and hit us up for a free t-shirt while you’re there. @forcedotcom: Thanks #SJSU crew for making the trip up from the heart of Silicon Valley. Hope you’re enjoying #cloudstock! @BeWell_SJSU: @SJSU Hey #SJSU! Look for email “Important Health Information Request”, complete survey by 3/25 enter to win Kindle Fire, Wii and more! @universal_sjsu: Good luck on midterms @SJSU Spartans! 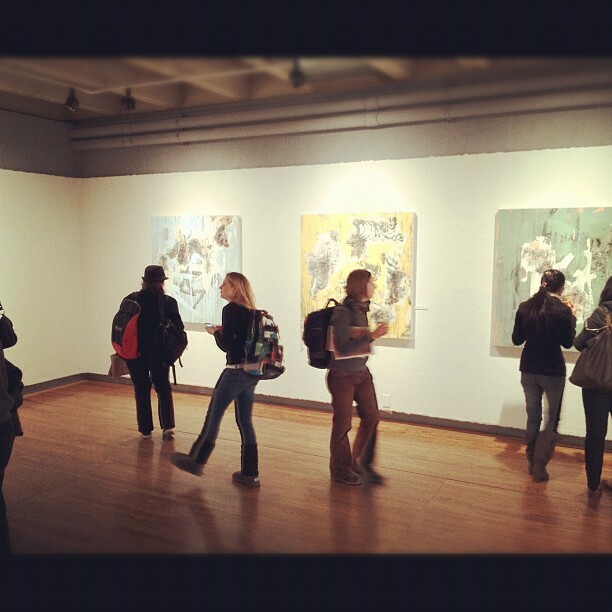 Students and faculty view art created by @hexagonstaff17 in one of SJSU art galeries. @SJSpartanSquad: Good news! We’ve added a day of Spartan Squad goodness: This upcoming Sunday @ 1pm, #SJSU Baseball game. Come get a free shirt! @BeWell_SJSU: @SJSU #SJSU SPARTAPALOOZA is back! 3/15, 10-2 SU Ballroom- prizes, performances, food, over 50 booths, and more! @UnityCouncilWFD: #sjsu #careerfair 120+ #Employers 500 #recruiters and hiring managers! This event of epic proportions! @vincedmonroy: @prssasjsu Miss my days in the @SJSU #PRSSA! Good times! @jmaltura: I love that my classes at @SJSU have projects that require field trips to places like Alcatraz or Angel Island 🙂 HRTM ftw! @ryokumoto: Teaching @SJSU_LucasGSB @SJSU in #HigherED is a Dream come true! #MBA #Luckequation – Student Energy is amazing! @theeroyceelifee: So glad I joined SOLES last semester and SAHE this semester @SJSU , definitely two choices I’ll never regret . @ms_doty: @serena9195 i wanna get the posters and cover @SJSU or Berkeley with Kony posters!!! @michaelspero: 2012 #sjsu football schedule…9/1 at Stanford, 9/8 UC Davis, 9/15 Colorado St., 9/22 at San Diego St., 9/29 at Navy, 10/13 Utah St…..
@michaelspero: Congrats to #sjsu junior guard James Kinney…2011-12 #wac men’s basketball All-Newcomer Team! Photo of the SJSU Baseball team. Thanks for sharing @ThatGirlBco! @SJSpartanSquad: If you’re a #sports fan at #SJSU, come get your free Spartan Squad shirt tonight at the Basketball game. 7p @ the Event Center. Go Spartans! @Raydere: Panda Express is the greatest thing to happen to @SJSU‘s food court. ‏ @ericOAKfan: Thanks to @SJSU for Giving me An Opportunity to Succeed! ‏ @jolene415: Just got home from the campus tour @SJSU My daughter wants to be a #Spartan! @estbnbrjs: Accepted to #SJSU ! 2 out of 2! ‏ @gary_singh: Rachel Maddow right now doing an event at @SJSU. Morris Dailey is packed. Side doors are open, so I watched for free, from outside. ‏ @SBWalnutCreek: Happy birthday Jeff Garica! He played college football @SJSU, started NFL career w SanFrancisco @49ers. In Dec. signed w @HoustonTexans. @davidsabolcik: Congrats to #SJSU Spartan Swimming and Diving, 2012 #WAC #Champs! Members of Spartan Shops passed out free Vietnamese sandwiches to hungry SJSU students this past Wednesday as part of the new @SJSUStreetEats program. Photo taken by @SJSU. @chris_royo: Early Acceptance to #SJSU!!!!!!!!!!!!!!!!!!!!! I couldn’t be anymore happier. I am officially a #SJSpartan. Street Eats will bring exciting food from the streets of San Jose right to the hungry students on campus (Spartan Shops image). 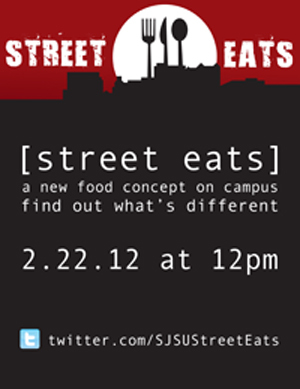 At noon, Feb. 22 — that’s this Wednesday — SJSU will introduce a new food concept that will allow Spartans to get a little variety in their lunch selection. 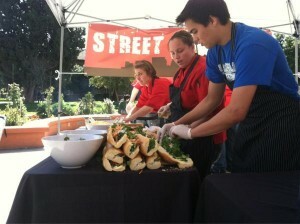 Spartan Shops’ first Street Eats event will feature Vietnamese sandwiches, including beef, chicken, and tofu options. For this trial run, the food will be free-of-charge and given out on a first-come-first-serve basis while supplies last. 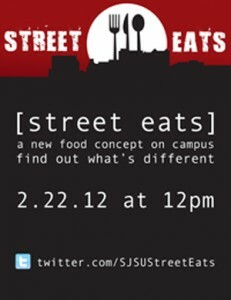 The location of the event will be leaked Wednesday morning via the Street Eats Twitter page. “We’re really excited about this fun, new concept. It will provide students with a variety of food options that they otherwise would not be able to find on campus,” said Stephanie Shih Fabian, Spartan Shops marketing manager. This event is part of a larger effort from Spartan Shops to bring cutting-edge cuisine that can be found around San Jose right to the hungry students on campus. Students will be able to purchase food from tents in locations that will vary weekly. Food options will include anything and everything from Korean barbecue tacos to sandwiches, burritos, and much more. 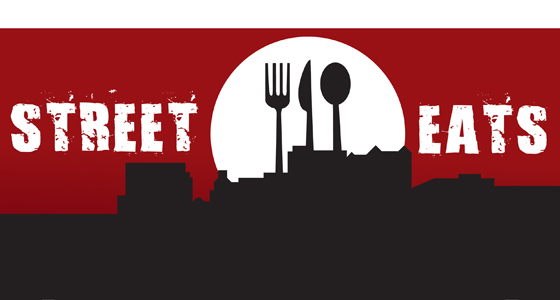 Be sure to follow along the Street Eats Twitter page for the latest on upcoming dates and locations. Spartans showing some unity and pride at a basketball game. Thanks for sharing your photo @vanessadingillo! @javeeperez: #IGoToaSchool where the mascot kicks other mascots in the chest and yells “THIS IS SPARTA!” Go @SJSU! @jprastrullo: #IGoToASchool where I share no regrets, love my peers, and seize every opportunity. I love my school @SJSU. @mafekarp: @sjsu I was made in the #csu so I #supportthe csu! Go #spartans! @SamuelYLam: Heading back to hang out at my alma mater today for the SJSU Church Expo. Good to be back at @SJSU. If you see me, holler at me. @JTDJames: History of American Media with R. Craig is probably the most interesting class I’ve taken at @SJSU. I feel like I’m getting my moneys worth. @SerdarKempes: @SJSU I love #SJSU because of its huge campus and its great Engineering department. @kevin3196: @SJSU @sjfamilyshelter Shout out to San Jose!! Spartan Nation! @JTDJames: Digging my new @SJSU sweatshirt for half off from @Spartan_Bkstore! Lets get a win tonight #SJSU Spartans! @jprastrullo: By far the most valuable class I’ve taken at @SJSU #socialsjsu – follow along to join the conversation! @Scandylicious: onforb.es/ydbxZ9 #14 on the list! Go #SJSU!!!! 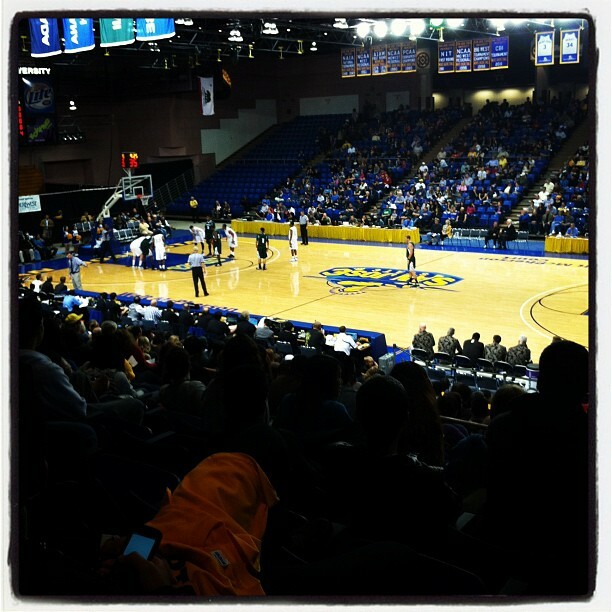 @JTDJames: Great win for the @SJSU Spartans Mens Basketball team last night! Double OT! Glad I was there in my Squad shirt to cheer us on and see it! 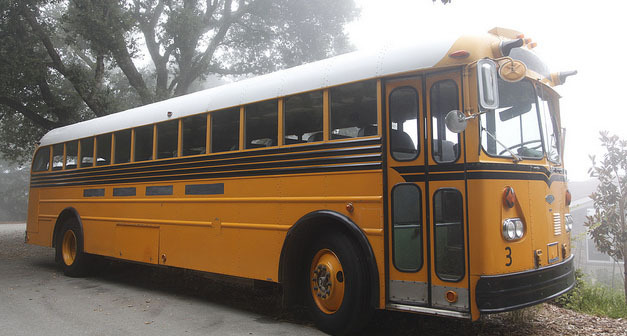 Pictured here, the bus will have a photo studio equipped with a darkroom, presentation station, a light studio, and two Volkswagen station wagons on top that will serve as sleeping quarters. Two San Jose State University alumni have set out to remind Americans about the time-honored traditions and artistic beauty of darkroom photography. 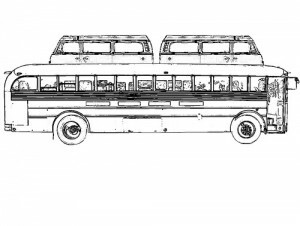 Anton Orlov, ’06 BFA, and Ryan Kalem, ’11 BFA, are raising funds to build The Photo Palace, a mobile art studio housed within a vintage 35-foot, 1978 Gillig school bus that the two will use to travel across the United States teaching the art of analog and darkroom photography. 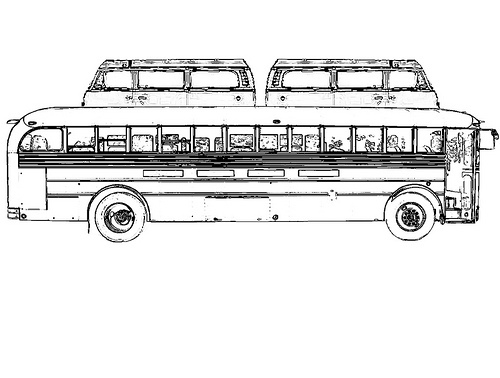 The bus will have a fully functioning photo studio equipped with a two-station darkroom, a presentation and workshop station, a light studio, and two Volkswagen station wagons welded to the top that will serve as sleeping quarters. Visiting all 48 continental states, the two will teach photographic education, as well as create and present their works along the way. With plans to roll out this summer, The Photo Palace will provide lectures and demonstrations; offer workshops on gelatin silver printing and alternative photo processes; and hold impromptu and planned photographic showings. The Photo Palace will also be creating a documentary portrait series on the road. Check in with Orlov and Kalem as they travel across the continental United States inspiring thousands of Americans, coast-to-coast, as they share their talents and passions with all those they encounter. You can follow the Orlov and Kalem on the The Photo Palace blog or make a donation to lend your support as they work toward transforming their dream into reality. 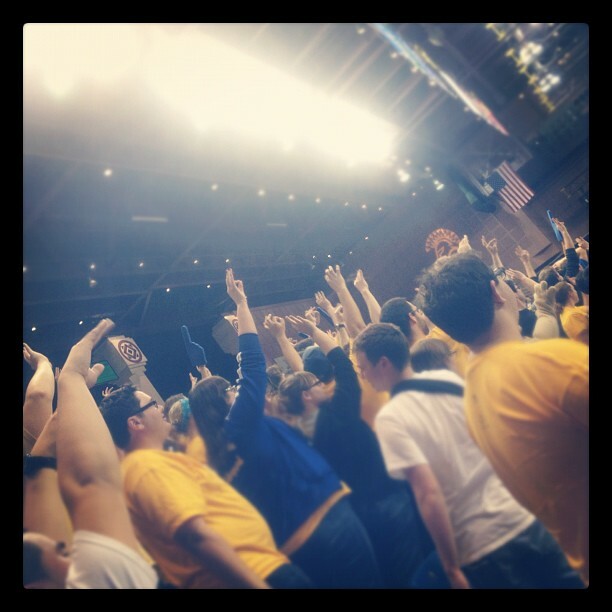 Great photo taken by @ashhleyyy_ of the SJSU Men's Basketball team as they took on Hawaii. @StaySalty513: All @SJSU students check out @treilly316 speaking at @SJSUCru” 7:00pm on the 3rd floor of the student union. Never Watered down. Soul’d Out! @AlyssaNoDuh: Would anyone at @SJSU want to start a TWLOHA club? It’s an amazing organization! @ginanesposito: I have such a respect for African American professors after my class. Way to go @SJSU studies. @Oh_Oga: Man I love this black and white @SJSU sweater. What a deal!!! @AlyssaNoDuh: I kind of just went crazy at the bookstore. 50% of all apparel is too good to pass up. I’ll be rocking @SJSU gear for a long time. @choward63: @SJSU best cal state university period. proud to be a spartan! @xoxoMarynel: @SJSU because the school has different opportunities to offer. Plus, I appreciate the diversity on campus! @notpetersaurus: @SJSU helped me get to where I am today, and soon more. @BthatSFGirl: @SJSU Are u kidding me?! I love all my classes! Perfect school for my forensic major!! #GoSpartans!!! @_Sleek: @SJSU Not only is the campus gorgeous, the ppl are driven & hardworking. Perfect environment for me to start my success story. @MikeAlexandre17: @SJSU love SJSU because everyone is friendly. @SJSU_ASA: We love @SJSU because it’s welcoming and accepting to others! Also, there are many activities to get involved in! @juststinaaa: I love @SJSU because I met 6 awesome people my freshman year and now they’re 6 of my best friends. <3 oh, and it’s home. @KarstenKonopath: I love @SJSU because of the numerous organizations to get involved in and the experiences I have had still inspire me as an alumni. 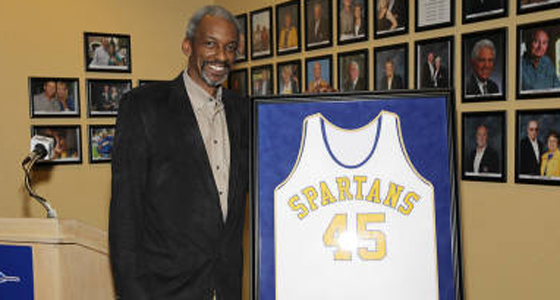 San Jose State University Athletics recently concluded a weekend celebration honoring Darnell Hillman with his #45 jersey being retired. 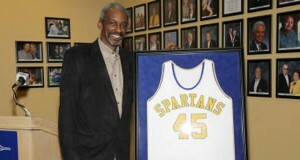 Hillman played for the Spartans’ freshman team in 1967-68 and the 1968-69 varsity squad that posted a 16-8 win-loss record. After a two-year stint in the U.S. Army, he became the first San Jose State player chosen in the first round of a NBA draft. In the 1971 draft, the Golden State Warriors made him the eighth pick overall. He played 682 professional games in the ABA and NBA for five different teams. Today, he is the Indiana Pacers’ associate director for community relations and specializes in camps and clinics.